2018-2019 Season Rehearsal Schedule is here! 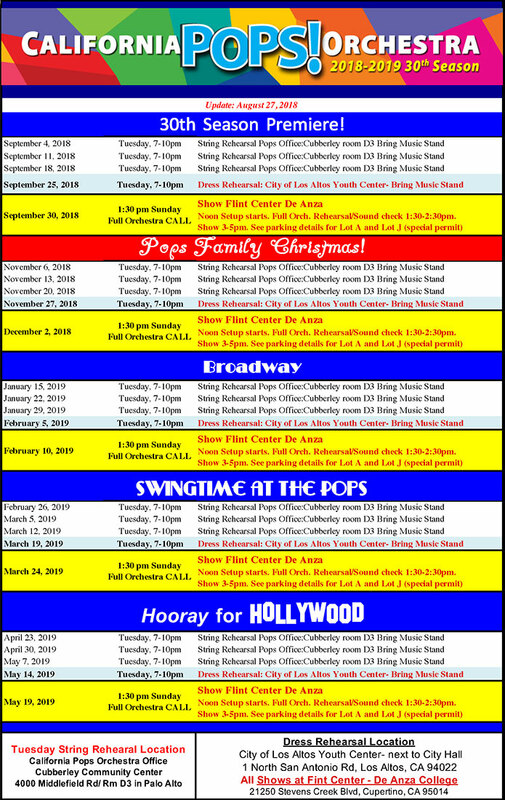 For convenience, feel free to print or download a PDF version of the rehearsal schedule. Click the ‘View larger map’ link above for driving directions to the Cubberley Community Center. Click the ‘View larger map’ link above for driving directions to Los Altos Youth Center. The Youth Center building is located between the City Hall and Police Dept buildings.